As Group President, Steve Swerdlow oversees global Marketing and Research, and provides support for worldwide M&A and budgeting/finance activities, in partnership with CBRE’s Corporate Development and Finance teams. Mr. Swerdlow also serves on CBRE’s Global Operating Committee. Previously, Mr. Swerdlow served as Chief Executive Officer for Asia Pacific, with oversight for all company operations in the region, comprised of 15 countries and more than 80 offices. Earlier, he served as President of the U.S. Western Division where he led company operations in the Western U.S., including more than 40 offices across eight states, and as Chief Operating Officer, Americas, with responsibilities that included oversight for Canada and Latin America. 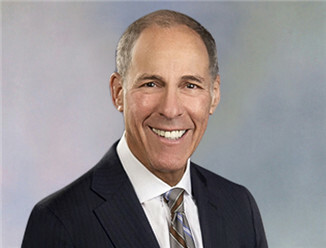 During his nearly 30-year career with CBRE, Mr. Swerdlow has held a wide range of senior leadership positions, including serving as President of CBRE's Global Corporate Services (now GWS) line of business from 2002-2006. Prior to that, he served as President for CBRE's New York Tri-State and Eastern Divisions. Before joining CBRE, Mr. Swerdlow was a development officer for Hines Interests in New York. He began his professional career at the New York law firm of Barrett Smith Shapiro Simon & Armstrong, where he concentrated on a corporate law practice.